Gor Mahia are the winners of the inaugural SportPesa Super Cup after overcoming rivals AFC Leopards 3-0 on Saturday 11June, 2017 at the Uhuru Stadium. 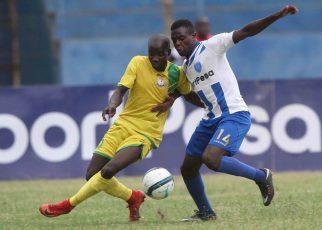 Gor Mahia had reached the finals after registering wins against Jangómbe Boys and Nakuru AllStars while Leopards had overcome Singida United and Yanga SC, both on post-match penalties. The match started with Timothy Otieno testing Leopards goalkeeper in the first minute but Otieno was well up to task. 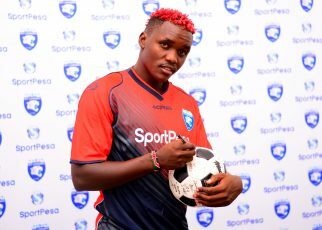 Ingwe got the first corner of the match in the 4th minute but it was well defended and five minutes later, top scorer Meddie Kagere missed a glorious chance to put Gor Mahia ahead after failing to connect with Wellington’s cross in the box. Wafula made another attempt in Leopards goal in the 22nd minute but his effort was just wide, with Gor dominating the match proceedings. Timothy Otieno’s shot in the 34th minute did not trouble the keeper, flying above the crossbar and two minutes later, Kateregga had a chance in the opposite end but Fredrick did well to collect the ball. A poor first touch let Timothy down in the 40th minute after a good pass from Kahata, taking the teams to the break in a goalless draw. 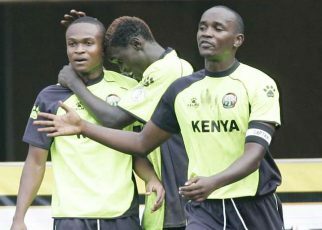 George Odhiambo forced Ian Otieno to do extra work in the 48th minute with a volley from the left flank and the Leopards keeper punched it out for a corner with a fingertip save. After Kateregga fouled Timothy Otieno in the 52nd minute, Kenneth Muguna took the resultant free kick beautifully only to be denied a goal by the woodwork. Timothy Otieno finally took Ko’galo ahead in the 59th minute, connecting with Kagere’s pass to slot the ball to the far left past Ian and make the scores 1-0. 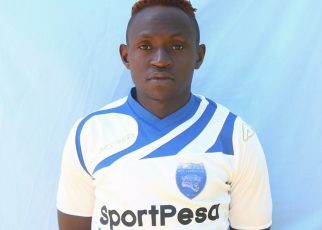 Philemon Otieno got into the referee books in the 64th minute after an apparent exchange of words with the center man and Ramadhan Yakubu met the same fate three minutes later after a foul on Timothy Otieno. Ze Maria then decided to bring off goal scorer Otieno in the 72nd minute for youngster Oliver Maloba, with Marin bringing on Isuza for Bernard Mangóli. Being in the field for less than three minutes, Oliver Maloba doubled the lead for Gor in the 76th minute with a tap-in from George Odhiambo’s left-flank cross. Kenneth was then substituted for Anthony Mbugua in the 80th minute. Gor Mahia’s assistant coach was sent to the stands in the 84th minute for airing his displeasure towards the officiating side. Gor made another substitution in the 89th minute, George Odhiambo paving way for Amos Nondi. Ndirangu sealed the victory for Gor in the 93rd minute to make them the first winners of the competiton. Gor Mahia will now go home with three million shillings and a trophy. 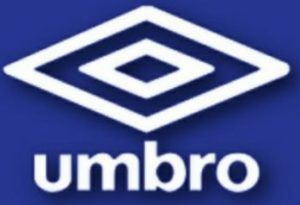 They will also get a chance to ply English side Everton FC next month at the same venue. 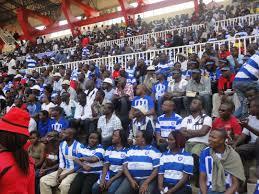 AFC Leopards will also not go home empty handed, with the losing finalists set to receive one million shillings.